Estate Sales News (hereinafter referred to as “ESTATE SALES NEWS”) provides their services to you subject to the following terms, conditions, and provisions (“Terms and Conditions”). By accessing, viewing, or using this site, you indicate that you understand and intend these Terms and Conditions to be the legal equivalent of a signed, written contract, and you accept and agree to be bound by these Terms and Conditions. ESTATE SALES NEWS reserves the right to change these Terms and Conditions at any time for any reason, and your continued use of this site following any modifications will be deemed to constitute acceptance of such modifications. Copyright. Unless otherwise indicated, all content on this site, including text, graphics, images, and logos, is the property of ESTATE SALES NEWS or its content suppliers and is protected by United States and international copyright laws and regulations. In addition, ESTATE SALES NEWS owns a copyright on this site as a collective work or compilation, and in the selection, coordination, enhancement, and arrangement of the site’s content. Except as expressly provided herein, ESTATE SALES NEWS does not grant any express or implied right to you. ESTATE SALES NEWS actively and aggressively enforces its intellectual property rights to the fullest extent of the law. The contents of this site are Copyright© ESTATE SALES NEWS, Inc. All rights reserved. Trademarks. ESTATE SALES NEWS and other names, graphics, logos, and icons identifying ESTATE SALES NEWS or its products or services are the proprietary marks of ESTATE SALES NEWS . All other trademarks not owned by ESTATE SALES NEWS that appear on this site are the property of their respective owners. License. These Terms and Conditions provide you with a personal, revocable, nonexclusive, nontransferable license to use this site conditioned on your continued compliance with these Terms and Conditions. 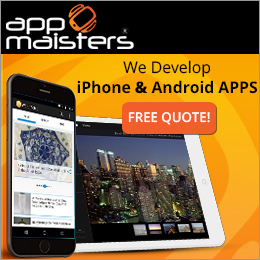 You may use this site solely for your personal, noncommercial use, and you may download a single copy of the materials from this site only for personal, noncommercial home use, as long as you agree not to remove any copyright, trademark, or other proprietary notices from the materials downloaded. Except as expressly provided herein, you may not modify, copy, distribute, broadcast, transmit, reproduce, publish, license, transfer, sell, mirror, frame, deep link, or otherwise use any information or material obtained from or through this site without the prior written permission of the material’s owner. As a condition of your use of this site, you warrant to ESTATE SALES NEWS that you will not use this site for any purpose that is unlawful, unauthorized, or inconsistent with these Terms and Conditions, and you agree that this license to use the ESTATE SALES NEWS web site will terminate immediately upon your violation of this warranty. ESTATE SALES NEWS reserves the right to terminate your access to this site and its content at any time, with or without notice, at our discretion. ESTATE SALES NEWS Disclaimer. WHILE ESTATE SALES NEWS ENDEAVORS TO PROVIDE THE MOST ACCURATE, UP-TO-DATE MATERIALS AVAILABLE, THE INFORMATION, MATERIALS, PHOTOGRAPHS, PRODUCTS, AND SERVICES AVAILABLE ON THIS SITE MAY INCLUDE INACCURACIES, TYPOGRAPHICAL ERRORS, OR OUTDATED INFORMATION. MOREOVER, ESTATE SALES NEWS MAY MAKE MODIFICATIONS OR CHANGES TO THE SITE OR THE INFORMATION, MATERIALS, PRODUCTS, AND SERVICES DESCRIBED IN THIS SITE AT ANY TIME, FOR ANY REASON. 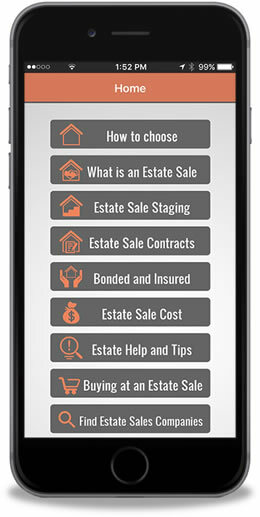 ESTATE SALES NEWS IS NOT RESPONSIBLE FOR AND NEED NOT HONOR TYPOGRAPHICAL, PHOTOGRAPHIC OR PRICING ERRORS ON THE SITE; ESTATE SALES NEWS RESERVES THE RIGHT TO REFUSE OR CANCEL ORDERS AT ANY TIME, INCLUDING BUT NOT LIMITED TO ORDERS THAT CONTAIN INCORRECT PRICES OR PRODUCT DESCRIPTIONS, ORDERS IN WHICH ESTATE SALES NEWS BELIEVES THE CUSTOMER HAS VIOLATED APPLICABLE LAW, AND ORDERS THAT ESTATE SALES NEWS BELIEVES ARE HARMFUL TO ESTATE SALES NEWS OR ITS AFFILIATES. 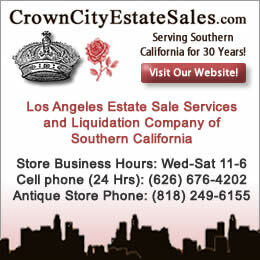 ESTATE SALES NEWS ALSO RESERVES THE RIGHT TO LIMIT THE NUMBER OF ITEMS PURCHASED OR ORDERS PLACED THROUGH THIS SITE. YOU ASSUME THE SOLE RISK OF MAKING USE OR RELYING ON THE INFORMATION, MATERIALS, PRODUCTS, AND SERVICES AVAILABLE ON THIS SITE. ESTATE SALES NEWS MAKES NO REPRESENTATIONS ABOUT THE SUITABILITY, COMPLETENESS, TIMELINESS, RELIABILITY, LEGALITY IN YOUR JURISDICTION, OR ACCURACY OF THE INFORMATION, MATERIALS, PHOTOGRAPHS, PRODUCTS, AND SERVICES DESCRIBED OR CONTAINED IN THIS SITE FOR ANY PURPOSE. EXCEPT AS SPECIFICALLY SET FORTH OTHERWISE WITHIN ESTATE SALES NEWS WEBSITE, ALL INFORMATION, MATERIALS, PHOTOGRAPHS, PRODUCTS, AND SERVICES ARE PROVIDED “AS IS” WITHOUT WARRANTY OF ANY KIND, INCLUDING ALL IMPLIED WARRANTIES AND CONDITIONS OF MERCHANTABILITY, FITNESS FOR A PARTICULAR PURPOSE, TITLE, AND NON-INFRINGEMENT. 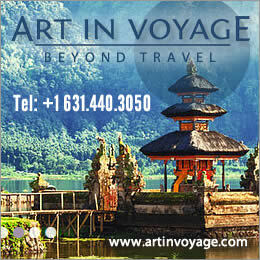 SHOULD ANY DOUBTS ABOUT A PRODUCT ARISE, WE ENCOURAGE YOU TO CONTACT US. Linked Sites. This site contains links to sites owned and maintained by persons or entities other than ESTATE SALES NEWS . ESTATE SALES NEWS does not regularly review materials posted, or products or services offered, on the web sites to which this site is linked. ESTATE SALES NEWS does not necessarily endorse all of the materials, products, and services available on such linked sites, and ESTATE SALES NEWS expressly disclaims responsibility for the contents of any linked site, the accuracy of any information contained in a linked site, and the quality of the products and services offered at any linked site. Any decision to view the contents of any linked site is solely yours and is made at your own risk. Submissions. ESTATE SALES NEWS welcomes your comments about your experiences using our site or shopping with us and your suggestions about how to improve this site. Any comments, ideas, suggestions, information, or any other content you contribute to ESTATE SALES NEWS or this site (including the name you submit with any content) will be deemed to include a royalty-free, perpetual, irrevocable, nonexclusive right and license for ESTATE SALES NEWS to adopt, publish, reproduce, disseminate, transmit, distribute, copy, use, create derivative works from, display worldwide, or act on such content–without additional approval or consideration–in any form, media, or technology now known or later developed for the full term of any rights that may exist in such content, and you waive any claim to the contrary. You represent and warrant that you own or otherwise control all of the rights to the content that you contribute to this site and that use of your content by ESTATE SALES NEWS will not infringe upon or violate the rights of any third party. Indemnity. You agree to indemnify, defend, and hold harmless ESTATE SALES NEWS, its affiliates, and all of their employees, agents, officers, directors, proprietors, partners, representatives, shareholders, servants, attorneys, accountants, predecessors, successors, and assigns from and against any and all claims, proceedings, damages, injuries, liabilities, losses, costs, and expenses (including reasonable attorneys’ fees and litigation expenses) relating to or arising from your use of this site or any breach by you of these Terms and Conditions. Applicable Law. 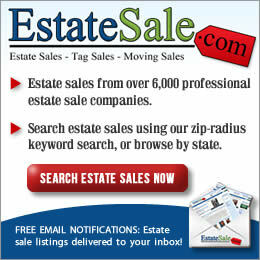 This site is created and controlled by ESTATE SALES NEWS, in the State of Indiana, U.S.A. The laws of the State of Indiana will govern these Terms and Conditions (without giving any effect to the principles of conflicts of laws) as such laws are applied to agreements entered and to be performed entirely within Indiana between Indiana residents. Any action to enforce these Terms and Conditions will be brought in the federal or state courts presiding in Indiana, U.S.A., and all parties expressly agree to be subject to the jurisdiction of such courts. This site is controlled and operated by ESTATE SALES NEWS, from its offices within the Indiana located in the United States of America. ESTATE SALES NEWS makes no representation that materials in this site are appropriate or available for use in other locations, and access to them from territories where any of the contents of this site are illegal is prohibited. Further, ESTATE SALES NEWS makes no representation that the products and services available for sale or use on this site are appropriate or available for use in other locations, and use or purchase of such products or services from territories where such purchase or use is illegal is prohibited. If you choose to access or make purchases from this site from other locations, you do so on your own volition and are responsible for compliance with any applicable local laws. General. In the event that any provision contained in these Terms and Conditions is held by a court of competent jurisdiction to be contrary to any law, the remaining provisions of these Terms and Conditions will remain in full force and effect. No joint venture, partnership, employment, or agency relationship exists between you and ESTATE SALES NEWS, as a result of these Terms and Conditions or your use of this site. The waiver by ESTATE SALES NEWS of one breach or default under these Terms and Conditions shall not constitute the waiver of any subsequent or other breach or default. ESTATE SALES NEWS, UNDER NO CIRCUMSTANCES, will sell or reveal to any third party your email address, unless you provide consent, except to the extent necessary to comply with applicable laws, police investigations, or legal proceedings where such information is relevant.